Great news for everyone looking for true, clinical research on Jack3d – Two independent, university Jack3d research studies have been completed, and the results look great! Update! We now have TONS of of information, including the entire write-ups to two official studies. See them at the Is Jack3d Safe? page. Below is just a press release, so the link above is better. USPlabs, LLC, manufacturer of ultra-premium dietary supplements, announced two separate university studies have been completed on USPlabs Jack3d™. The dietary supplement Jack3d ™ was recently investigated using a placebo controlled, double-blind, cross-over design for safety and efficacy at a Tier-1 Research University within the United States. In this study, 11 resistance-trained men reported to the laboratory and ingested either Jack3d ™ or a placebo. After the condition was consumed, subjects were evaluated to determine muscular power, strength and endurance. Preliminary results indicated that Jack3d ™ may be a useful aid for trained athletes which desire an improvement in some of these measured parameters. Detailed results from this work should be available in a peer reviewed manuscript format within the next several months. In addition, a more long-term intervention assessing safety has also been completed which found no serious adverse events in normal healthy humans. Detailed results from this work should also be available in a peer reviewed manuscript format within the next several months. 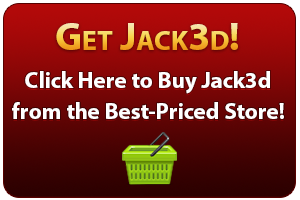 This Jack3d research is newly-announced and needs to be peer-reviewed before distributed, but things are looking quite promising. All of us who USE Jack3d already know this though! Stay tuned – this page will be updated when the full texts are made available.